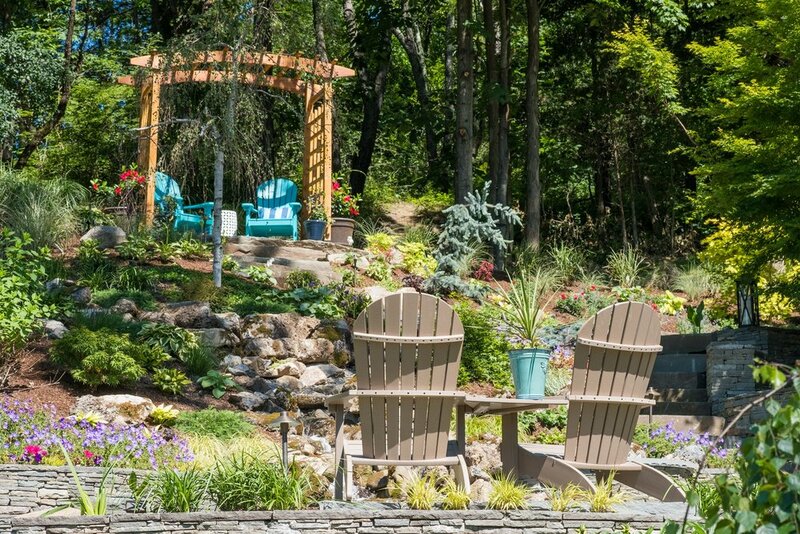 By working with the natural slope of this Goshen, NY backyard, our designers integrated an artistically inspired respite for hosting and relaxation. 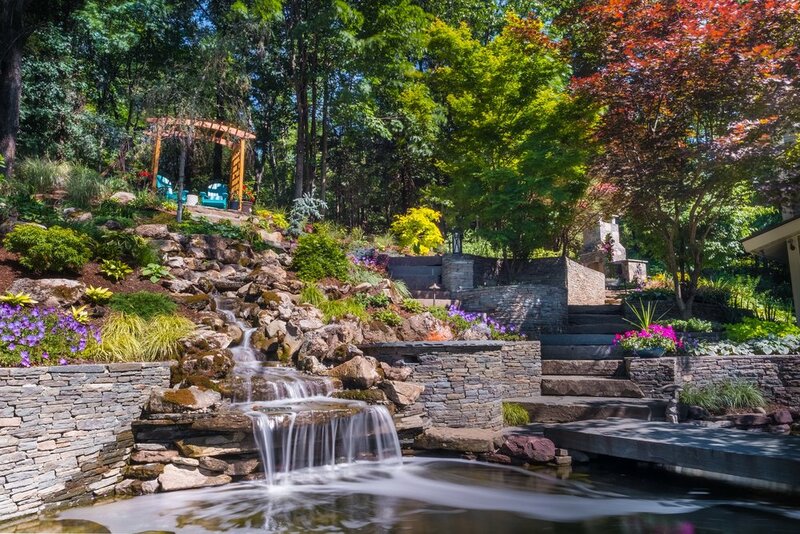 From top to bottom, this design utilizes extensive natural stone retaining walls, flowing water elements and private pockets for dining, relaxing and taking in the beauty of the surrounding ponds and waterfalls. 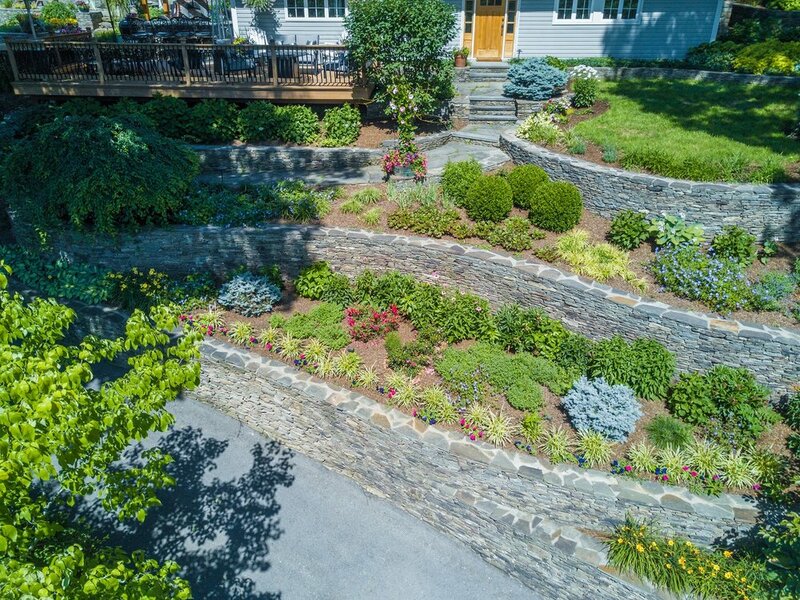 Guest can weave around to a stone-stacked, custom outdoor fireplace and patio before following the stone stairways to the fully equipped outdoor kitchen. Arranged with a bar, dining area, barbecue and pergola, this comprehensive landscape overhaul blends natural beauty with dynamic hosting possibilities.